CBS has finally released the first official photo from the new series Star Trek: Discovery. 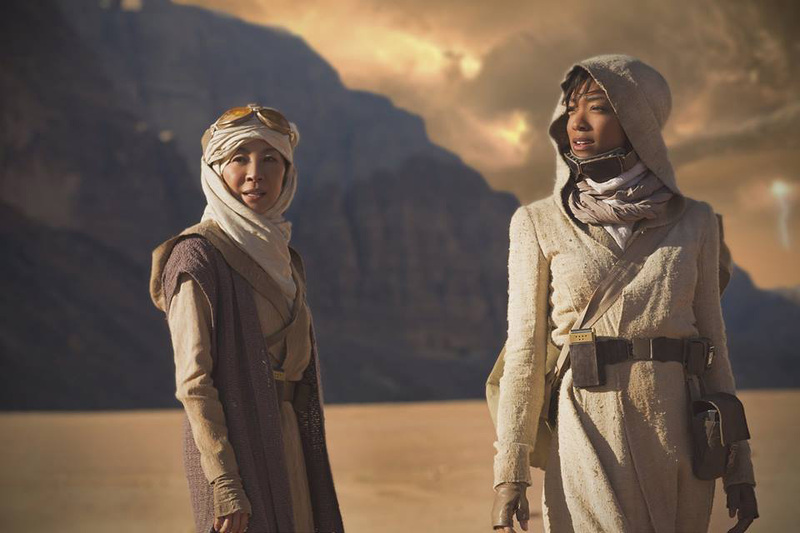 It features Sonequa Martin-Green as First Officer Michael Burnham and Michelle Yeoh as Captain Philippa Georgiou. Apparently, they are exploring a strange new world. It’s interesting that they chose to show this image rather than the new Starfleet uniforms. Hopefully they aren’t worried about showing the new uniforms. This series has been plagued with problems, so it just seems like a move that isn’t very confident. Hopefully, they’re just waiting to reveal them to milk the promotional value. You can see what looks like an old-school communicator and some tricorders. The scene almost looks like it could be from a Star Wars movie. Star Trek: Discovery will premiere with the pilot episode running on CBS this Fall. But you’ll need to subscribe to CBS All Access to watch the entire 15-episode season.